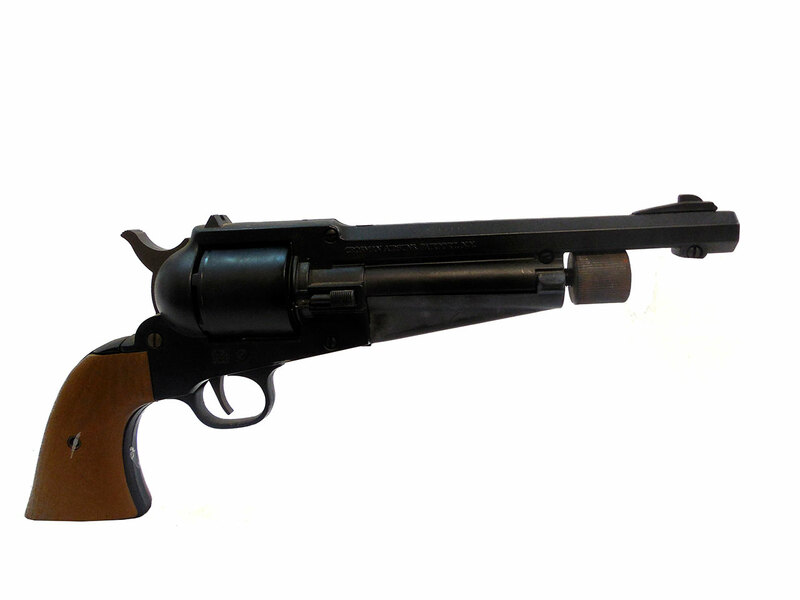 The Crosman model 1861 Shiloh is a single action .177 caliber revolver. 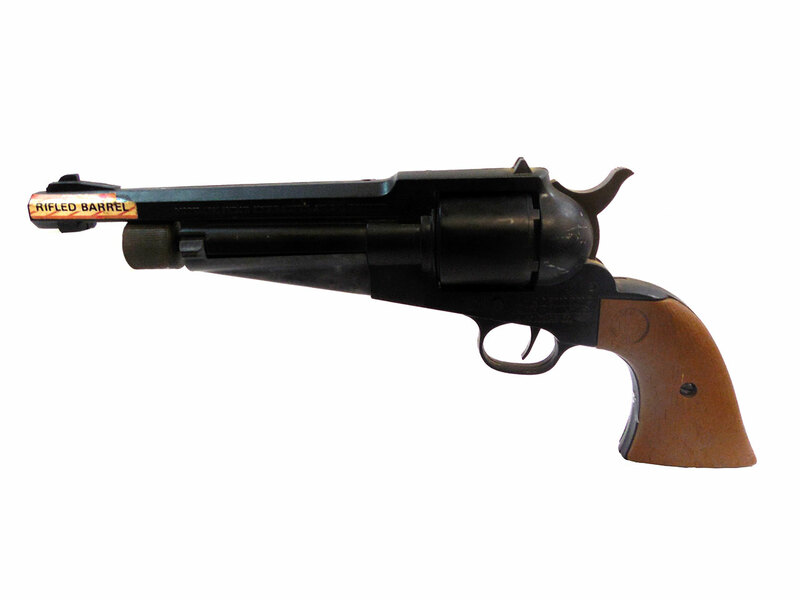 The Shiloh holds a single powerlet and is modeled after the US Civil War Remington cap and ball revolver. This gun does not work, and it may not have all of its original parts. 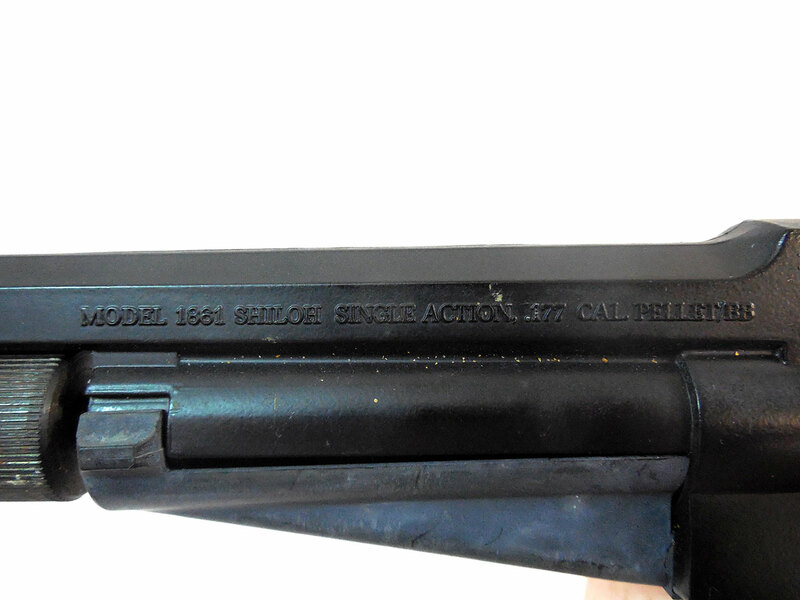 This gun retains 90% of its original finish and its plastic grips and the CO2 cover are both in good condition.